WE are indeed correct in saying every time they publish evidences of “prime properties” of the Church that have been sold, it always confirms that what we say is true and also proves that those opposing the Church Administration are indeed wrong. They cannot argue with facts (contra factum non habet argumentum). (7) it doesn't follow (non sequitur) that if the Church sold properties it means that the Church is bankrupt or in debt. Thus, those opposing the Church Administration in order to prove they are right that the Church sold these properties “they just needed to dispose as much property as they can for whatever buck they can squeeze out of it” they need to prove that these properties are still still being used or needed by the Church, and we need not be worried about the property tax, and the upkeep and maintenance of these properties. Failure in proving so means that those opposing the Church administration are wrong and just making lies to make their readers believe that there is something wrong with the Church today. “Such is the case of the parcel of land from the locale of Ugong WHERE THE INC HOUSING USED TO BE. In 1995, the radio transmitter tower was transferred to Ubando, Bulacan. Why? Because of the reason that radio transmitter is more efficient if surrounded by waters. Thus, the Church acquired a property in Ubando, Bulacan. Many fishponds can be found in this area. We can also find in this area the radio transmitter tower of DZBB (AM radio of GMA 7), DZMM (AM radio of ABS-CBN 2), the very popular DZRH, and others. Thus, the transmitter tower for the Church’s two AM radio stations (DZEM and DZEC) was transferred from Ugong to Ubando, Bulacan. However, do you know that there was a problem ocured during the construction of the radio transmitter tower in Ubando in 1995? This project (the construction of the radio transmitter in Ubando) was administered by “those behind Antonio Ebanghelista.” This project did not pass through the usual procedure of the Church (the usual needed paper works undergone by all Church’s project) because “those behind Antonio Ebanghelsita” have “blanket authorities” (one they lost when Brother Eduardo V. Manalo became the Executive Minister, so one of their grudges against the present Church Administration). Thus, this property in Ugong was purchased in 1965 for the purpose of being the location of DZEM’s radio transmitter tower. However, the transmitter tower was trasffered to Ubando, Bulacan in 1995. Ugong Locale has it own lot where their House of Worship located. Does locale of Ugong needed this property (which was the former location of DZEM’s radio transmitter tower) to built their House of Worship? The locale congregation of Ugong already has it’s own lot where their large concrete and permanent House of Worship is now built. 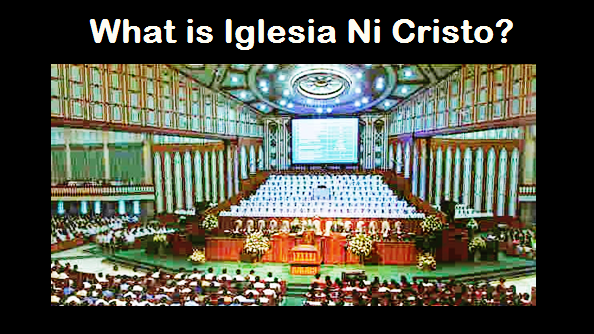 Antonio Ebangelista himself included in his article a picture of Ugong’s House of Worship. Thus, the locale of Ugong doesn’t need it. How about CEM’s plan of establishing an extension in that property? Indeed there was a proposal that CEM Rizal extension be transferred from Taytay to this property in Ugong. But, this “plan” did not materialized. Why? There was a time when the Church Administration (Ka Erdy) decided to close all the extensions including the one in the Ecclesiastical District of Rizal. Thus, no need to established an extension in this property in Ugong. When CEM extensions were re-established during the tune of Brother Eduardo V. Manalo, the current Executive Minister, but Metro Manila area was also reorganized into “five” (now “six”) ecclesiastical districts. Thus, Marikina and Pasig became the Ecclesiastical District of Metro Manila East (Ugong locale is under it’s jurisdiction), while the district office of Rizal went back to Taytay which made more impossible for CEM Rizal Extension to establish a campus in the Ugong property. Thus, CEM Rizal Extension renovated the old CEM Rizal Extension campus in Taytay. How about Metro Manila East? As we all know, as of this date, all students in all districts in Metro Manila attend classes in CEM Main campus. Thus, CEM doesn’t need it. How about the plan of transferring the “district office” in Ugong? First of all, which “district” who made the plan of trannsfering the “district office” in Ugong? The Ecclesiastical District of Rizal. Because of the proposal that CEM Rizal Extension be transferred to Ugong, the District of Rizal also proposed to transfer the district office in Ugong. It’s a “common policy” that CEM extension must be near the district office. But this plan was abandoned when the Church Administration decided to close all extensions. Now Rizal’s district office is back in Taytay. The district office of Metro Manila East at first was located in Pasig Locale because this was the former home of the district office of Rizal, and now permanently located at Bagong Ilog, Pasig. Rizal went back to Taytay. 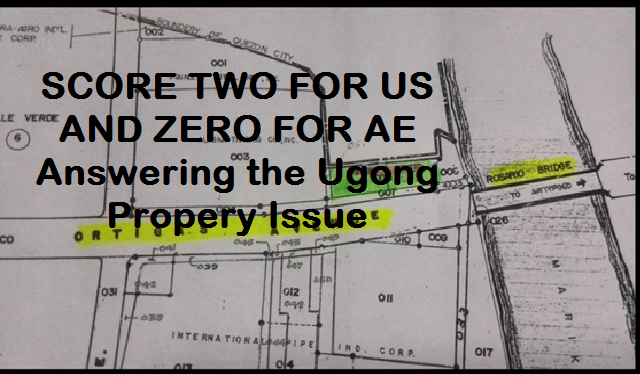 Thus, no district needs the Ugong property. Antonio Ebangelista used the word “dispersed” to paint an “evil picture” against the Church Administration (as if that they were forced to abandon the place and a “demolition” occurred). But, in the same “sentence,” Ebangelista contradicted himself. He said, “Why were the brethren DISPERSED and RELOCATED.” And to further make an “evil picture” of the Church Administration, he further claimed “(the brethren were) relocated to other FAR housing projects AS FAR AS Montalban, Rizal”. Ebangelista is only making an “evil picture” of the Church Administration as oppressing the brethren who formerly lived in that property. Is this really the case? First, those in Ugong was not a housing project like in Central, Tagumpay and Dasmarinas. That is not the case. 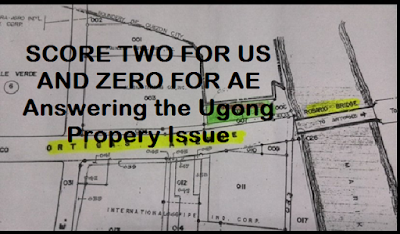 As we already mentioned, Ugong property was not for housing project but originally the location of the radio transmitter tower. When the radio transmitter was transferred to Ubando, Bulacan, many were allowed to TEMPORARILY live there. Those brethren who lived there are the witnesses that the Church Administration allowed them to live there only temporarily. This they all know and understand. So, the situation in Ugong is not like in Central, Tagumpay and Dasmarinas. Second, “Montalban” in Rizal is not a “very remote” area. When Ebangelista said “as far as Montalban” he is suggesting that this is a very remote area. Note his trickery. He used the word “Montalban” to suggest that this is a very remote area. However, “Montalban” is no longer the name of that town, but “Rodriguez,” a town adjacent to Quezon City. The Church even has a housing project in that town, the TAGUMPAY housing project which many living there work in Central office. Today, if you have your own vehicle, it’s a 20 minute drive to Central, and if you commute, it will take about 30 minutes to arrive at Litex or Commonwealth Avenue. Third, the house and lot given to them in Rodriguez, Rizal are their OWN. Helping them to have their own house and lot in a town adjacent to Quezon City and about 30 minutes travel to Litex or Commonwealth avenue, is that an act of oppression? Ugong property as Antonio Ebangelista describe it as “completely usable, prime lot, strategically located in one of the HIGH-VALUED locations in the Metro," and we should not worry about it’s property tax? He is not worrying because for him there is the abuloy where we get for the huge expenses in maintaining this property. Dito kitang-kita ang tunay mong kulay, G. Antonio Ebangelista! Ang sinasabi mong pagmamalasakit sa Iglesia ay isang pagkukunwari lamang. Sinasabi mo rin naman na ang mga kapatid na ito ay halos wala nang makain, hirap lang sa buhay, minsan ay naglalakad na lamang upang ang ipapamasahe patungo sa kapilya ay ipanghahandog na lamang, subalit para sa iyo maling ipagbili ang isang “property” na hindi naman ginagamit ng isang lokal, isang departamento, ng isang distrito, ng Iglesia sa kabuuan, at ginagastuhan pa ng malaki ang pag-maintain dito alang-alang lamang sa “ala-ala”? Para sa iyo ay kahit gumastos ng malaki na kukunin sa abuloy ng mga kapatid basta lang mapanatili ang isang property na hindi naman ginagamit ng isang lokal, departamento, distrito, o ng Iglesia sa kanuuan? Hindi ba’t maliwanag na lumalabas na ang ipinaglalaban mo G. Antonio Ebangelista ay HINDI ang kapakanan ng Iglesia, kundi ang ipinaglalaban mo ay ang kapanakanan ng mga taong nasa likod mo? This property was sold to eradicate Ka Erdy’d memory? You accused the STF which you say is headed by Brother Jojo De Guzman as the culprit behind the selling of the property for the purpose of eradicating the memory of Brother Erano G. Manalo? However, you failed to show proofs but only “opinions” and being "judgmental.” Does STF rallying for the eradication of Brother Erano G. Manalo’s memory? (1) STF is behind the making and publishing of the EGM Coffee Table Book. (2) STF is behind the annual exhibit in CEM’ anniversary showcasing the history of the Church including the history and legacy of Brother Erano G. Manalo. (3) STF is always behind the articles in PASUGO featuring the history and legacy of Brother Erano G. Manalo. And if it is true that there is a move today inside the Church to eradicate the memory of Brother Erano G. Manalo, why Ka Erdy’s picture still hanging in all Locale’s receiving room or pastor’s office? Why we can find a large section of the Museum housing Ka Erdy’s memorabilia? Why the discussion of the life of Brother Erano G. Manalo is still a part of CEM’s curriculum? Why we still used the Pandoktrina authored by Ka Erdy himself? Why currently, CEM finishing a five volume book of Ka Erdy’s biography? And have you forgot that the current Executive Minister is the first-born son of Ka Erdy? We have an article fully discussing the STF and the allegation that there is a move in eradicating Ka Erdy’s memory. Ugong property’s original purpose was to be the location for the radio transmitter tower of the Church’ AM radio stations. From 1965 to 1995, the transmitter tower was located in this property, but it was transferred to Ubando, Bulacan in 1995. The Ugong locale already has it’s own lot and permanent House of Worship. CEM Rizal Extension's plan of establishing a campus and Rizal district’s plan to transfer the district office in this property in Ugong did not materialize because Ugong is no longer under Rizal’s jurisdiction, and CEM Rizal Extension and Rizal’s district office went back to Taytay from Pasig. Metro Manila East has already a new district office in Bagong Ilog, Pasig and their students are attending classes at CEM Main Capus in Quezon City. Also, as Antonio Ebangelista himself described this property, it is a “completely usable, prime lot, strategically located in one of the HIGH-VALUED locations in the Metro,” So why we should not be worried about it’s property tax?